Turnover is a fact of life in the restaurant industry. 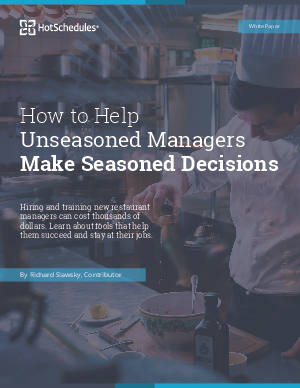 Studies show that reducing turnover can have a major impact on your restaurant’s profitability but retaining your managers requires an understanding of the problem’s root causes. In some cases managers don’t leave for higher paying jobs, they leave because they’re unprepared for the job at hand. This ebook will dive into ways to equip your managers with the right tools to succeed to increase retention and reduce turnover of your top talent.